This weekend only, Discount Magazines is having a Best Selling Magazine Sale! Pampers Gifts to Grow Rewards is offering a NEW code worth 10 points: FB7893219187815 and the code: TWIT789C221CX15 for 5 more points! If you are new to Pampers Gifts to Grow sign up now for 100 points! WOW! Get this Crayola Sidewalk Chalk, 48-Count for just $4.97! Choose in store pick up to avoid shipping costs if available in your area. You may also want to check out this Crayola Washable Sidewalk Neon Paint Tray , 9 piece kit on sale for $9.97 (Retail $15.99). Instead of fighting over the car charger on your next road trip (or any car ride), get this 3-Port USB Car Charger for $8.99 (Retail $39.99), which can juice up 3 devices at once. Compatible with a variety of USB smartphones and tablets, this handy device is the perfect accessory to keep your family charged on the go! CVS/pharmacy has an awesome "Fill Your Bag" promotion coming up from April 26th – May 23rd where you can get 30% off! Plus participating customers will receive a reusable shopping bag free with purchase; Customers can choose from more than 3,000 CVS/pharmacy exclusive items at 30% off. This is both in-store and online! Meaning you can save on a ton of CVS Brand products that are often 1/2 the price, plus get an additional 30% off! Plus, you'll find select exclusive product lines offered at the store. This is a good time to stock up on CVS Brand products and Gold Emblem Abound snacks for the busy summer months! · To participate, members of the ExtraCare® program simply scan their cards at the ExtraCare Coupon Center for their 30% off coupon. Limit of one coupon each week per ExtraCare card holder. · Participating customers will receive a reusable shopping bag free with purchase; Customers can choose from more than 3,000 CVS/pharmacy exclusive items at 30% off. · During the promotion, ExtraCare members can save on items from all of their favorite CVS/pharmacy exclusive product lines including CVS Brand, Gold Emblem Abound, Gold Emblem, Total Home, and Caliber. · All of our exclusive, store brand product lines and CVS Brand products come with a 100% money-back guarantee. · For those shopping online, there is no coupon required. Savings will automatically applied to eligible online purchases. · Offer excludes sale items, vitamins, sun-care products, gift with purchase offers, CVS/pharmacy gift cards, clearance and all products containing pseudoephedrine, ephedrine and items limited by law. If you use the Ibotta app, check now to see your new offers. If you aren't signed up with Ibotta yet- it's a great way to earn extra money while shopping and you can sign up FREE! Here are this weeks new offers. Don't forget all of the offers can be stacked with manufacturers coupons for additional savings. Right now you can get this FREE - 3 Piece Folding Knife Set by Trades Pro (Retail $17.99) - shipping was $5.49 for me. I love keeping these around the house to open boxes and cut things with...otherwise my husband uses my kitchen knives. Ugh. Shop Kohl's.com where cardholders can save 30% off your entire purchase with the promo code FLOWER30 at checkout through 5/2. If you're not a cardholder, save an extra 15% off your purchase with code THANKS8418 at checkout. Lastly, through May 2nd, for every $50 you spend, you'll get $10 in Kohl's Cash! These make great gifts for the kids! 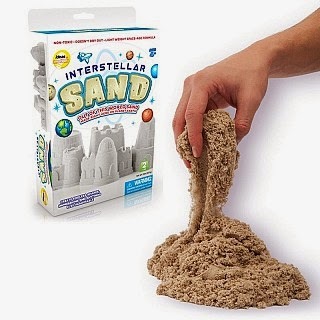 For a limited time get 6 lbs of Moon Sand for $14.97 Shipped! Out of this world sand made right here on planet earth! Amazing space age sand you need to touch to believe. Carve, cut, draw and create imprints, sharp lines &amp; other detailed art. Awesome light weight polymer sand mixture never dries out or hardens. Sticks to itself so it is easy to clean up &amp; reuse over and over again. NOTE: When you order 3+ you'll get for $4.99 each or you can opt to only grab 2 lbs for $7.99. If your in the hunt for Under Armour - make sure to check out Under Armour Outlet with New Gear Just Added and Additional Markdowns. I'm excited to grab Boys' UA Big Logo T-Shirts for $14.99 (Retail $19.99), Boys US Storm Armour Fleece Big Logo Hoodie for $33.99 (Retail $44.99) and Men's UA Tech Long Sleeve T-Shirt for $25.99 (Retail $34.99). Free Shipping on orders over $49. I find it hard to find these prices and selection in-store! Hurry, because this gear goes fast. Valid until April 26th - 30th.